'Twas the night before Christmas, when all through the house . . . 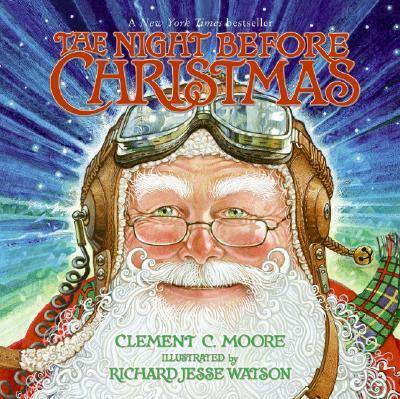 The familiar words of Clement C. Moore's classic Christmas poem have never before been illustrated with such style. Richard Jesse Watson's magnificent paintings infuse traditional holiday images with pizzazz and flair. Spilling over with all the joy and generosity of the season, this playful picture book is perfect for families of today. Richard Jesse Watson studied art at Pasadena City College and at Art Center College of Design. He has continued his artistic studies drawing from life and at museums and cathedrals. His awards and honors include the Golden Kite Award, the Parents' Choice Gold Award, People magazine's Best Picture Book of the Year, the IRA/CBC Children's Choice Award, and the C. S. Lewis Gold Medal. Richard lives with his wife, Susi, in Port Townsend, Washington.